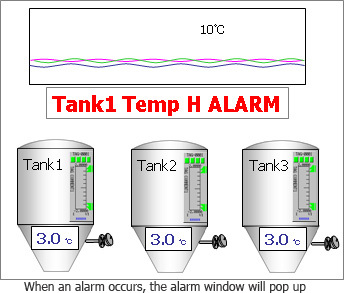 These temperature has to be monitored very critically at different stages (Making sure the bacteria is properly eliminated to the max) & thus evolved a terminology known as CCP (Critical Control Point). 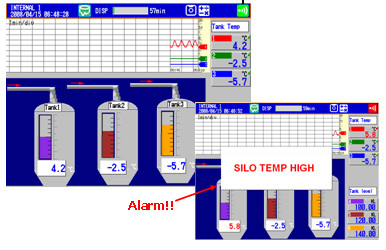 allows you to monitor process Continuously between the set temp of 4 to 7°C. allows you to analyze data based on time without running through all the files residing in the memory. huge saving of paper & also electronic storage of data. allow to view the actual process with the PV indication.